Mother Nature gave wool the properties that make it an ideal fiber for linings, as it is comfortable to wear in both hot and cold conditions. Wool is a natural, sustainable fiber that replenishes itself each time the sheep is sheared and continues to grow throughout the sheep’s lifetime. In hot surroundings or during strenuous exercise, wool absorbs perspiration and keeps a layer of dryer air next to the skin. In cold surroundings, the dry layer of air that wool maintains next to the skin, helps hold in body heat. 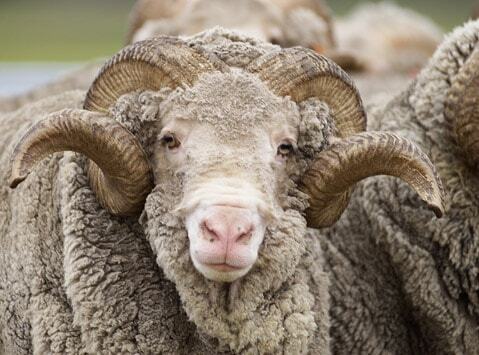 Mother Nature gave wool the properties that make it an ideal fiber for linings that are resilient and durable. Because wool contains moisture in each fiber, it resists flame without chemical treatment. Unlike many artificial fibers which melt and stick to the skin when on fire, wool chars and stops burning when it is removed from the source of fire. Wool is self-extinguishing. It will not support combustion. Each wool fiber is a molecular coil spring, making the fiber remarkably elastic. The flexibility of the wool fiber makes it more durable and resistant to compression. A wool fiber can be bent back on itself more than 20,000 times without breaking. Even after repeated wear, wool lined apparel and footwear remain fresh. This is because wool locks away odor molecules and releases them only upon washing. Our wool linings are NAFTA compliant. Our virgin wool lining is Berry Amendment compliant.